Popular Vehicle Alert! This 2009 BMW 3 Series has been viewed by 59 shoppers per week. I would like to schedule an appointment for a test drive on the 2009 BMW 3 Series stk # 510284. Enjoy the comfort and safety of this AWD BMW 3 Series 328i xDrive equipped with many standard features found on other vehicles as optional equipment. Low, low mileage coupled with an exacting maintenance program make this vehicle a rare find. If you are looking for a pre-owned vehicle that looks brand-new, look no further than this Alpine White BMW 3 Series. The BMW 3 Series 328i xDrive is in a class on its own. So much so, that BMW didn’t miss a beat when they loaded this vehicle with an abundance of a-la-carte options. The 2009 BMW 3-Series continues to be the benchmark against which other entry-level luxury cars are measured, mainly courtesy of its excellent driving experience. Power, braking and handling are perfectly matched to the vehicle’s size and intended usage. The way BMW takes care of business inside the cockpit also has a lot to do with the popularity of this breed. The 3-Series makes sure no buyer is left behind by offering four body styles, three engines, and both rear- and all-wheel drive. 2009 sees a new twin-turbo diesel form of the 3-Series, providing excellent fuel efficiency on top of world-class performance. 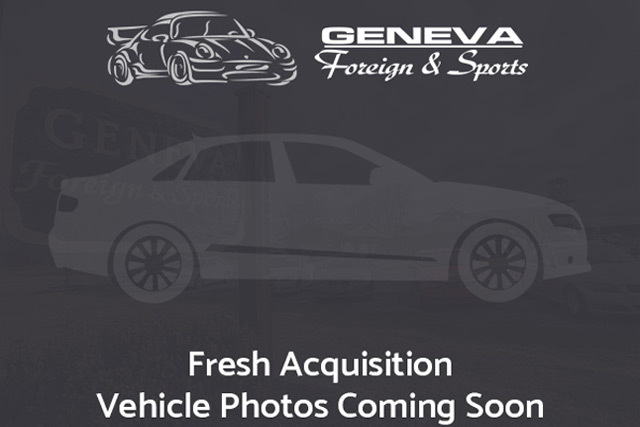 Stop by Geneva Foreign & Sports Geneva, NY and check out this Used 2009 BMW 3 Series stk#510284 today. With All Wheel Drive capabilities and a 3.0L DOHC 24-Valve I6 Engine this 3 Series won’t last long.